At a Glance. George Orwell (Eric Arthur Blair's pen name) was a socialist who wrote some of the greatest criticisms of totalitarianism published in the 20th century.... At a Glance. George Orwell (Eric Arthur Blair's pen name) was a socialist who wrote some of the greatest criticisms of totalitarianism published in the 20th century. 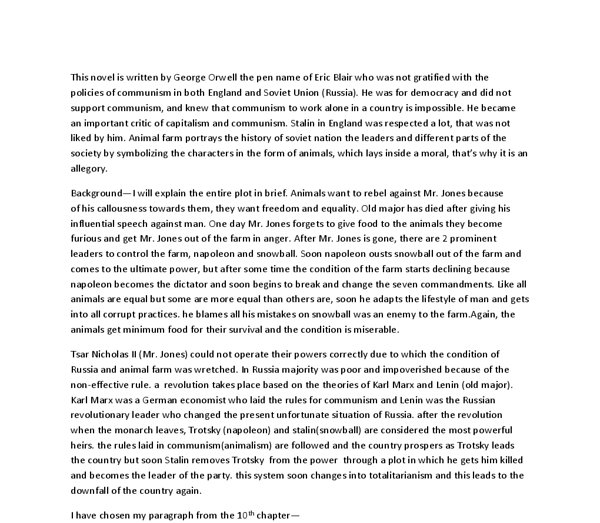 This statement coming from the novel entitled Nineteen Eighty-Four by George Orwell contains different meanings depending on its context and rationality.